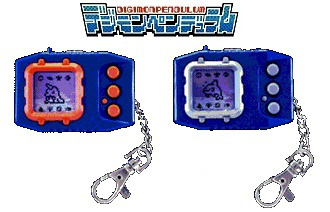 Digimon Pendulum Deep Savers (デジモンペンデュラムディープセイバーズ) is the second version of the Digimon Pendulum virtual pet. This Pendulum includes the first edition 2.0 and special edition 2.5 featuring a slightly altered cast of Digimon. Ikkakumon/Rukamon: 2 or fewer Care Mistakes, Win Ratio 40% or higher, Training 40+ times, Battle 30 times. 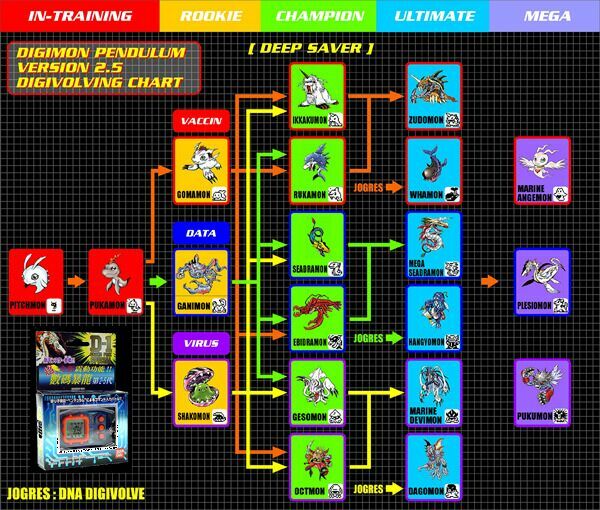 Seadramon/Coelamon (2.0)/Ebidramon (2.5): 4 or less Care Mistakes, Win Ratio 40% or higher, Training 40+ times, Battle 30 times. 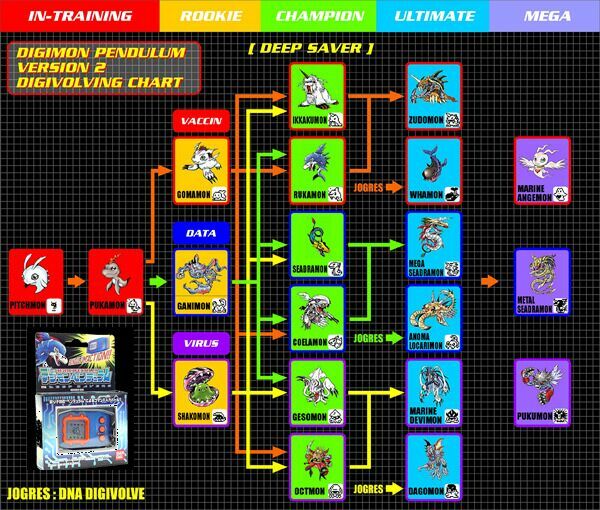 Gesomon/Octomon: 1 or less Care Mistakes, Win Ratio 40% or higher, Training 40+ times, Battle 30 times.